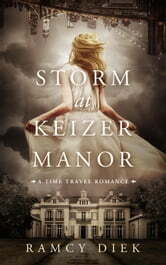 While college graduate Forrest tries to find a job, quick witted Annet works at the Keizer Manor, the museum where the oils from 19th century master painter Alexander Keizer are exhibited. After a fight, the couple strolls through the dunes to talk. When dark clouds roll in, the beautiful sunny weather turns into a thunderstorm so violent that they get separated.